Happy New Year! 2017 is the 25th anniversary of the premiere preview of X-MEN:TAS (10/31/92). It’s going to be quite a year. 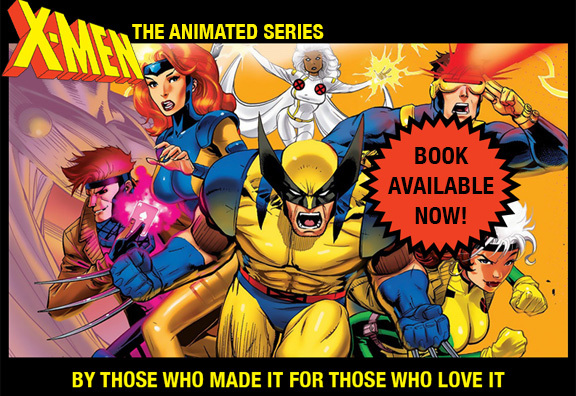 In February we’re going to be at San Diego Comic Fest with three other X-MEN:TAS writers and Series Producer Larry Houston. If you can, swing by and say hello. We’re going to have 4 or 5 panels about the series on Saturday and Sunday. We should also have more news about THE BOOK — our history of the series. Publishing is currently set for this summer, so we’re going to be incredibly busy trying to finish it up. As a fun remembrance, I thought I’d put up a storyboard page from 1989’s “Pryde of the X-MEN” (courtesy of X-MEN:TAS leader Will Meugniot). So many of the people that got our series on the air and made it as good as it was worked on this one-off attempt at getting the X-Men right for TV. It didn’t succeed, but without it, we very well might not have had the opportunity to do our version of X-MEN:TAS.